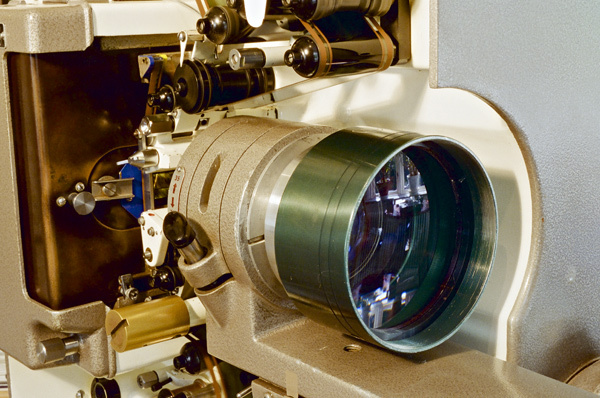 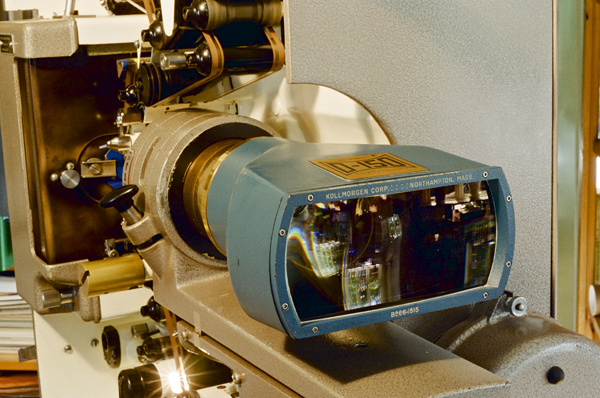 A presentation of the most common 70mm projection lenses of the 1960s. 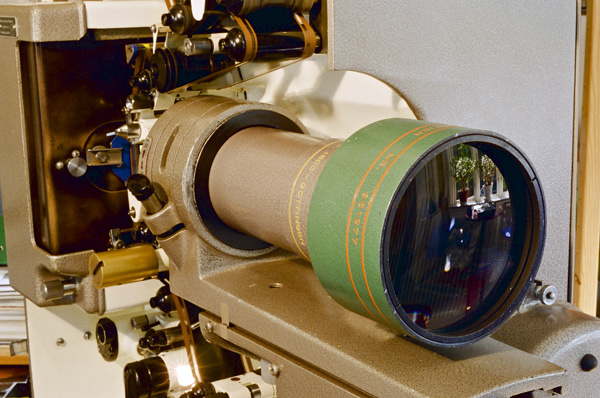 The Todd-AO system requires a very large optical system. 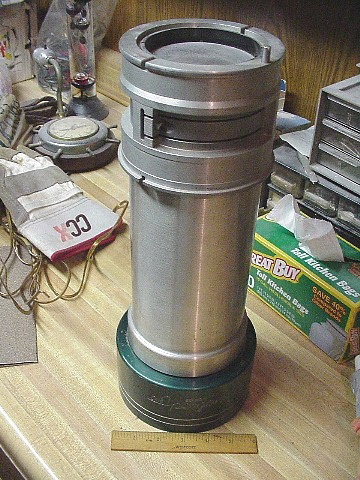 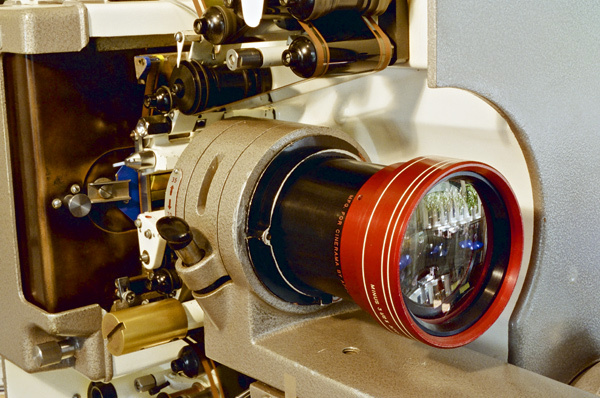 The size of this system determines that of the lens holder. 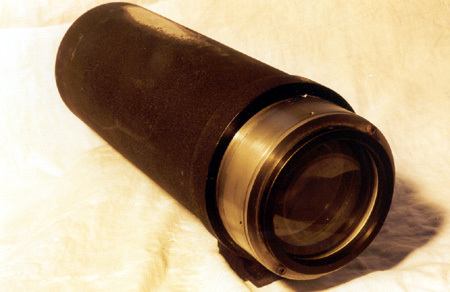 The lens is focused by means of the knob underneath the carriage over which the entire lens holder slides during focusing; this adjustment is free of any play. 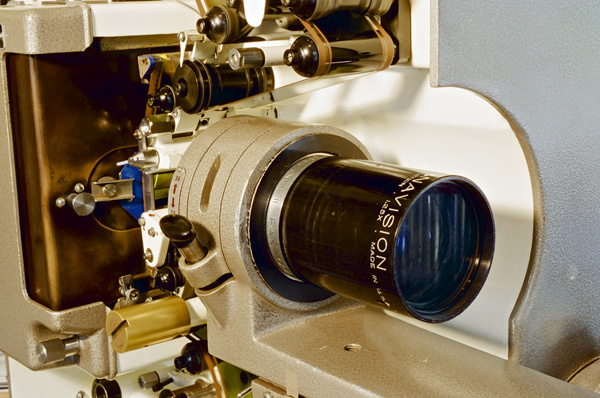 Special attention has been paid to the precision of this adjustment, since either a too fine or a too coarse adjustment may render focusing difficult.